And yet, in this time of intersecting crises, when it seems like everything could, and should, have changed, it paradoxically feels as though very little has. 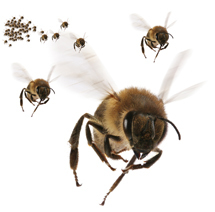 Individuals and companies have hunkered down to try and ride out the crisis. Nationalisations and government spending have been used to prevent change, not initiate it. Anger and protest have erupted around different aspects of the crises, but no common or consistent reaction has seemed able to cohere. We appear unable to move on. For many years, social movements could meet and recognise one another on the common ground of rejecting neoliberalism, society’s old middle ground – those discources and practices that defined the centre of the political field. The crisis of the middle has meant a crumbling of the common. And what now? Will neoliberalism continue to stumble on without direction, zombie-like? Or, is it time for something completely different? A PDF of the entire issue can be downloaded here. …a collection of texts, ten years after the protests against the World Trade Organisation in Seattle, asking people from across the global movement, ‘What were you wrong about ten years ago?’, at t-10. The complete collection of these texts can be found here. Contributors to the feature are: David Solnit | Gustavo Esteva | Emir Sader | Phil McLeish | Rubia Salgado | João Pedro Stédile | A CrimethInc ex-Worker | Precarias a la Deriva | Trevor Ngwane | Marcela and Oscar Olivera | Heloisa Primavera | Chris Carlsson | The Free Association | David Bleakney | Olivier de Marcellus | Go Hirasawa and Sabu Kohso | John Clarke | Guy Taylor | Thomas Seibert | Dr Simon Lewis | Amador Fernández-Savater. The Issue is illustrated by the photo series ‘Flat Horizon’ by Marcos Vilas Boas. If you would like to order a copy, or can help us get rid of a few, email us at editors@turbulence.org.uk The magazine is free, but we’ll need to ask for donations to cover shipping costs. We’ve put together a set of resources for anyone who might like to help us distribute or publicise this issue. They can be found here. Turbulence: Ideas for Movement are: David Harvie, Keir Milburn, Tadzio Mueller, Rodrigo Nunes, Michal Osterweil, Kay Summer, Ben Trott. A Spanish language edition of Turbulence, containing many of the articles originally published in Issue 5, is now available. 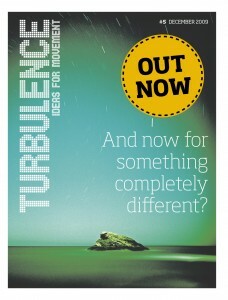 Copies can be ordered from editors@turbulence.org.uk, read online here, or downloaded as a PDF.